Join Pioneer Works staff, artists-in-residence, and friends in our garden for lunch. Each event spotlights a local chef or culinary organization. This month’s lunch features Dawa Bhuti, the chef behind Dawa’s. Dawa Bhuti’s family is originally from Tibet. She was born in Nepal and grew up in Tibetan refugee boarding schools in India. 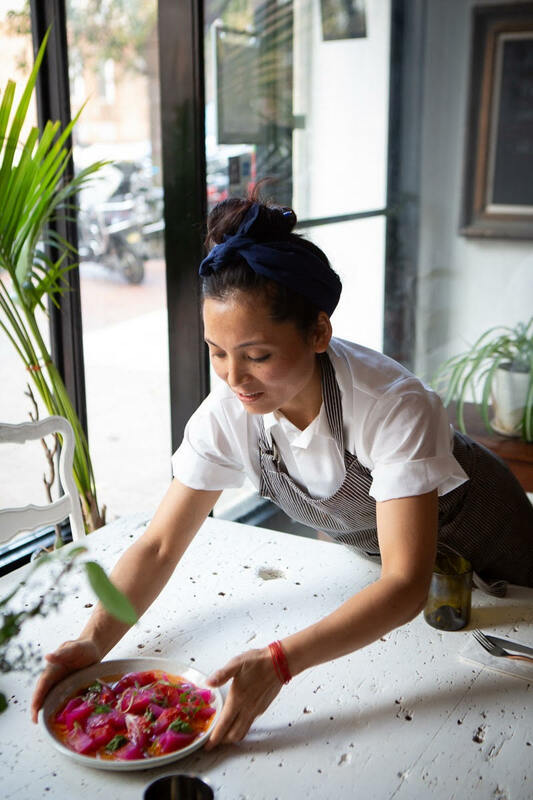 When she came to the United States in 2004, she initially started cooking in order to make a living, but cooking soon turned into her passion. After attaining formal training from culinary school in 2011, Dawa interned at Jean George’s Mercer Kitchen. She worked for there for 3 years, while also working as a private chef. Later, Dawa worked at Rouge Tomate and Reynard. In 2013, Dawa packed her bags with no plan or itinerary and took a four month trip to explore and learn more about different cuisines in other parts of the world. During that time Dawa’s father, Ngodup, had started a lunch box business, catering to members of their community who worked in the city. Dawa and her father eventually decided to open their own place in the partnership with her uncle.